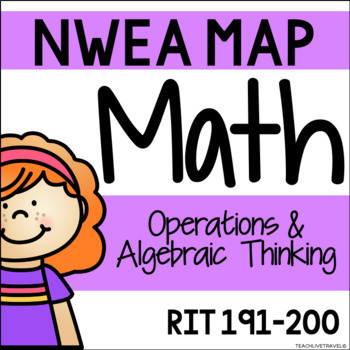 Does your school use NWEA MAP testing? Do you need to support your learners in a fun, engaging way to achieve their goals? These centers are designed to be added to your teaching, providing students with the opportunity to practice their skills without doing formal test prep! After students have completed their MAP test, identify their areas of strength and weakness and differentiate your learning and teaching to target their next steps. Centers are grouped by RIT bands allowing you to target key concepts and gaps in learning! How could I use these in my classroom? »Small group focus: target your teaching by using these resources to support students when working with you. »Pair review: allow students to work with a buddy to complete the activities, discussing and sharing their learning and reflections. »Independently: students can take an activity away and work through it, practicing the skill they need to focus on. •	Look for the green star next to my store logo and click it to become a follower! You will now receive email updates about my store! •	Don't forget to leave a rating and feedback on my products! You are purchasing a single license for this product, for personal use in your classroom only. If you wish to share this resource with a colleague or within your school, please return to my store and purchase the additional license(s) required.